What is a glass artificial horizon? Of instruments and apparatus for the sledge journeys we carried two sextants, three artificial horizons, of which two were glass horizons with dark glasses, and one a mercury horizon, and four spirit compasses, made in Christiania. You can see in this answer the team using the mercury artificial horizon, but what is a glass horizon? The basic arrangement needs a horizontal reflective plane, for which Amundsen used a pool of mercury. A precisely weighted mirror could work also, but a pool of mercury is more robust and doesn't go out of calibration. 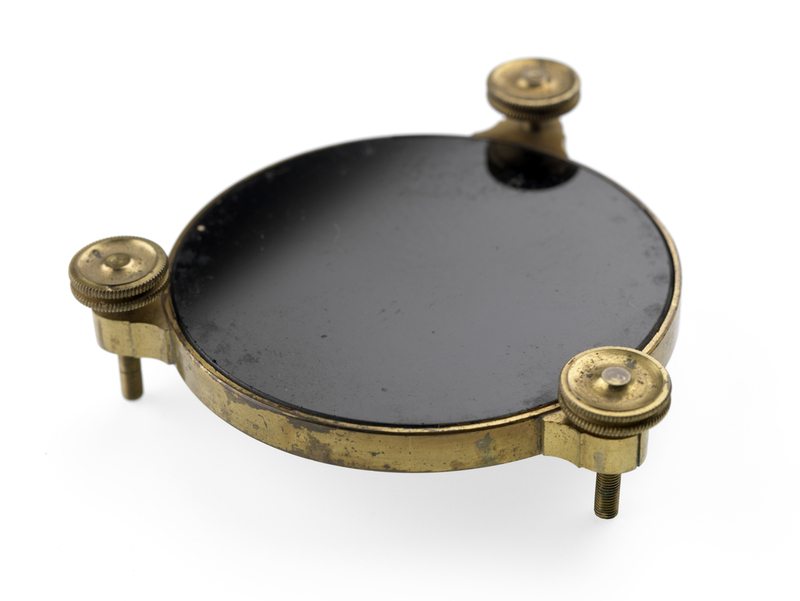 A circular brass case on three levelling feet covered with a blackened glass plate serving as mirror. BTW, other glass artificial horizons exemplars could be found in the mentioned museum collection. Not the answer you're looking for? Browse other questions tagged terminology navigation history or ask your own question. What is “Isolation” and “Prominence” in mountain terms? What is the English word for this type of run/race? What accounts for the predominance of Kendall Mint Cake over York Peppermint Pattie in mountaineering expeditions? In orienteering/navigation, what is a handrail feature? In orienteering/navigation, what is an attack point? What are the differences between a lighthouse and a light station in terms of the specific purpose?